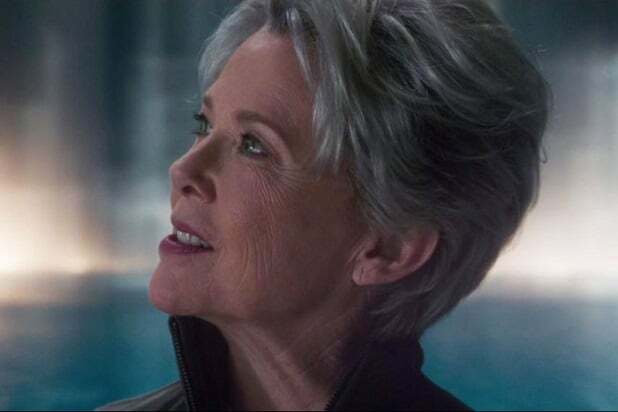 One of “Captain Marvel” coolest surprises was the fact that the Kree hero Mar-Vell is a woman, played by Annette Benning, instead of a man as in the comics. During the recent “Captain Marvel” press junket in Beverly Hills, Marvel Studios Chief Kevin Feige explained that making that change to the comics lore was essential to telling the story of Carol Danvers in film. “It was really about the development of this story, and about how best to showcase Carol Danvers growth, and development as a hero, and the notion that she had a female best friend, a female mentor, seemed important to us, and was something that was an idea that Anna had as the script is as she and Ryan were doing their pass at their script, and it all sort of fell together, particularly then with Annette Bening being able to play both of those spoilery parts,” said Feige. In the comics, Mar-Vell is a man — and the original Captain Marvel. Created in 1967 by Stan Lee and Gene Colan, he was a celebrated Kree warrior sent to earth disguised as a human to observe and assess if we are a threat to the Kree. After using his powers to save several people’s lives, he’s embraced as a new superhero (called “Marvel” because people mispronounced his name). Eventually, decides to stand with humanity and rejects the Kree empire. He later serves as a mentor to Air Force pilot Carol Danvers, and is involved in the accident that gave her superpowers. She operates as the hero “Ms. Marvel” for a time, but after Mar-Vell dies, Carol assumes the title Captain Marvel in tribute to him. In the film, Mar-Vell is a Kree scientist who rebels against her government’s wars of conquest and aggression who comes to earth in the 1980s disguised as a human scientist named Wendy Lawson. Mar-Vell heads up a secret research project using the Tesseract (aka the Space infinity stone, which MCU fans know was on earth in S.H.I.E.L.D. possession) to try to develop an experimental “Lightspeed Engine,” which she hopes can help Skrull refugees escape from Kree persecution. But like the comic book version, Mar-Vell still serves as a mentor to Carol Danvers, and is also involved in the events that give her superpowers. In short, she’s just as instrumental in Carol’s life here as she is in the comics, possibly even more. You can read more about that here.